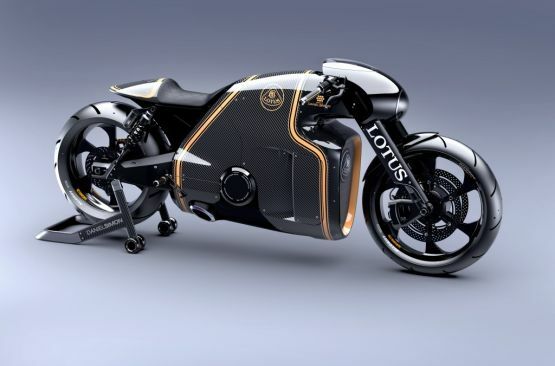 Lotus have announced the details of their first superbike, the C-01, and it promises to be quite a performer, or so the prototype makes you believe. 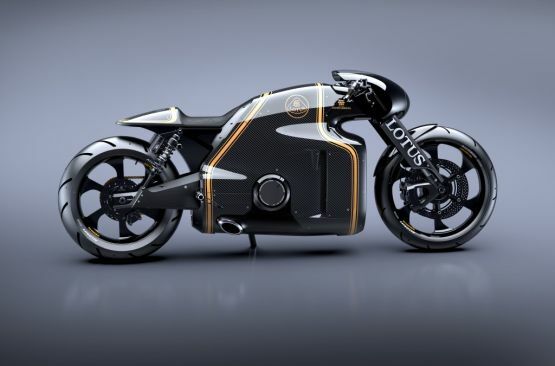 Created under licence by Kodewa Performance Motorcycles, the C-01 was conceptualised and designed by Daniel Simon, of TRON: Legacy and Oblivion fame. The C-01 Prototype is now registered and ready to take on the tarmac. 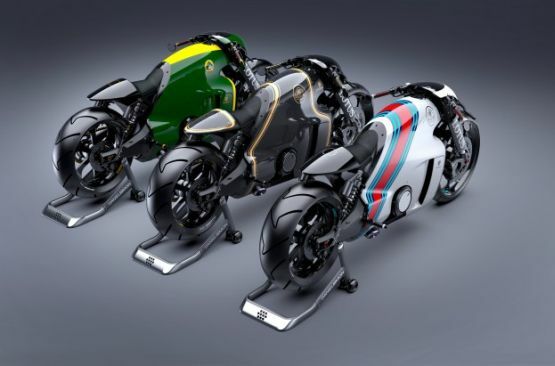 Under that streamlined body is a frame constructed of steel, titanium and carbon-fibre. 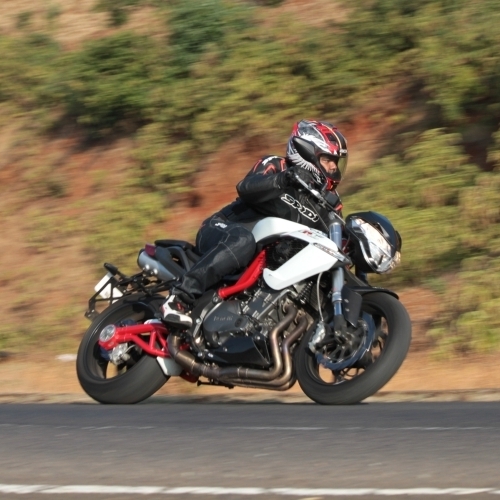 It packs a liquid-cooled, 1,195cc 75-degree V-twin motor which makes a claimed 200 PS and is mated to a 6-speed transmission with a jaw-type shift. USD forks up front and twin gas-damped struts at the rear handle suspension duties while stopping power comes from twin-320mm discs up front bit by four-piston calipers with a 220mm rear disc and twin-piston calipers. The rubber is a large 120/70 ZR19 up front with superbike-standard 190/55 ZR17 at the rear. The whole package weighs just 181 kg dry; that’s a power-to-weight ratio of 1105 PS/tonne – almost twice as much as a Pagani Zonda Cinque! The one number they haven’t announced is the price, and going by the details above, don’t expect it to be anything near affordable!